I'm having the same problem, although it eventually says "invalid download token". Anyone else have this issue? I couldn't even install the module, had a few issues with dependencies I think. Interests:Linux,Android,OS X, Hackintosh, Ethical Hacking, Learning anything I can and The F.Y.G.S. most of this module has been replaced by the Recon tab itself. 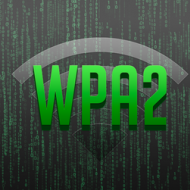 You can pick a MAC and do a wpa capture then download it via the PINEAP.